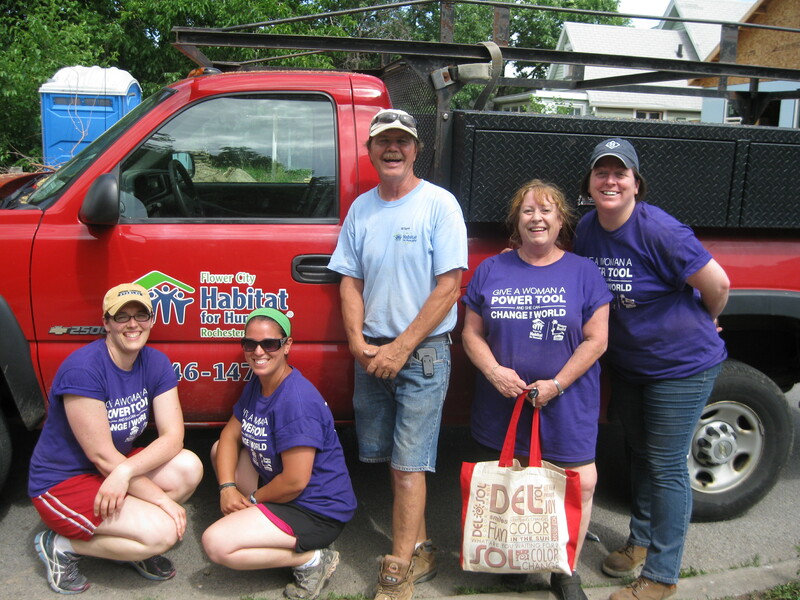 The 2015 Flower City Habitat for Humanity Women Build is here and we couldn’t be more excited to continue our mission of providing a hand up (not a hand out) to families in need right here in Rochester. We have some dates for all of our fantastic volunteers to mark on your calendars! We have a lot of changes in store this year, so you’re all invited to one of our ALL VOLUNTEER Kick-Off Orientations. Whether you’re new to Flower City Habitat Women Build, or an experienced volunteer, a Team Leader, or a team member, we strongly encourage everyone to attend one of the following sessions to help ensure you have all the information you need for a successful year of fundraising and building. If you are unable to attend either of these sessions please see your team leader for more information. 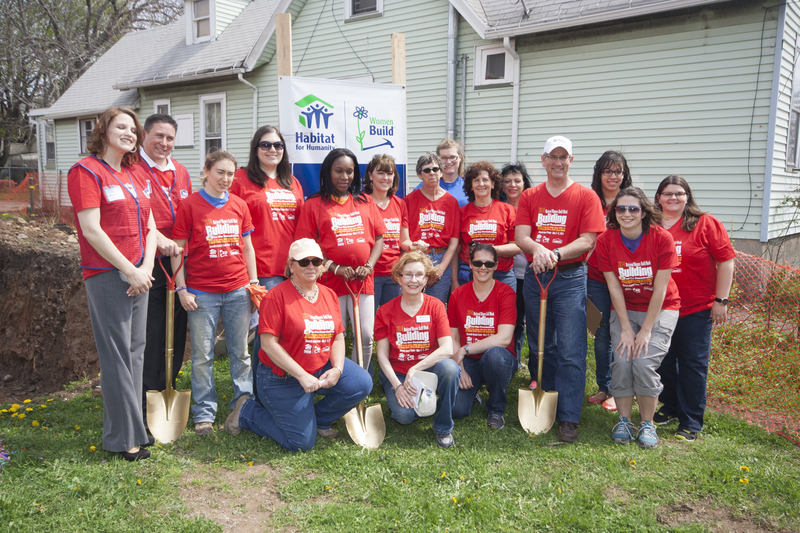 All team leaders should attend the Team Leader Kick Off at Flower City Habitat for Humanity, 755 Culver Road, Rochester, NY 14609, at 10:00 AM on April 25, 2015. If you are unable to attend, please email rocwomenbuildhelp4u@gmail.com. 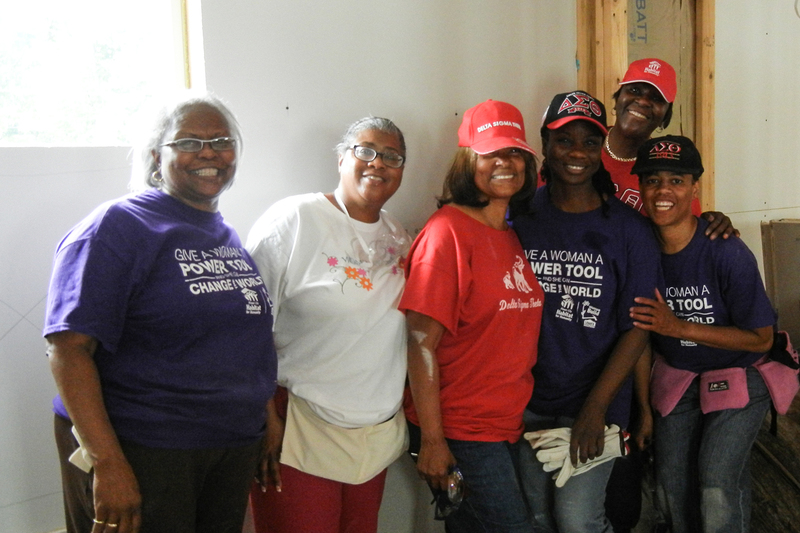 May 9, 2015 – Join us to celebrate National Women Build Day here in Rochester as other Women Build programs throughout the country do the same. More details to come, but mark your calendar and plan to bring the whole family! 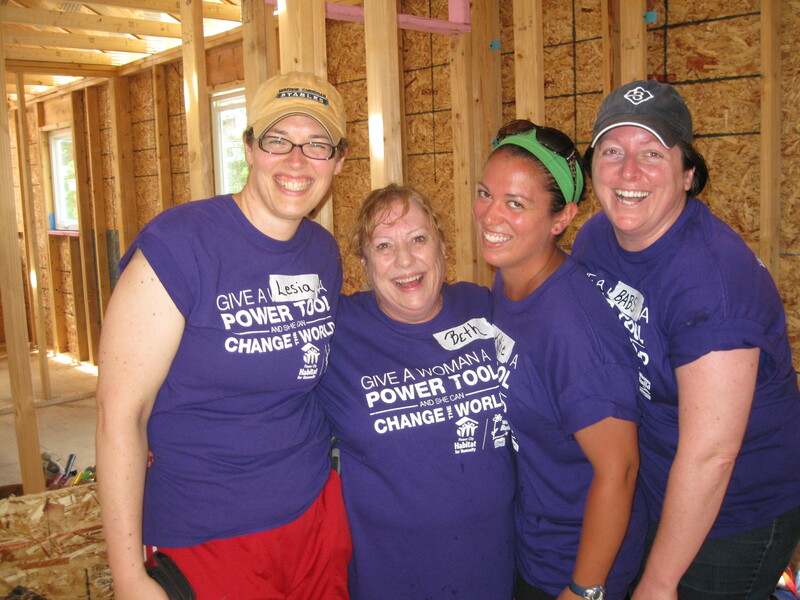 July 21-25, 2015 – New for 2015, we’ll be hosting a building extravaganza this July as 90 Rochester women come together to build homes for families in need. Email rocwomenbuildhelp4u@gmail.com to find out how your team can participate in this event. 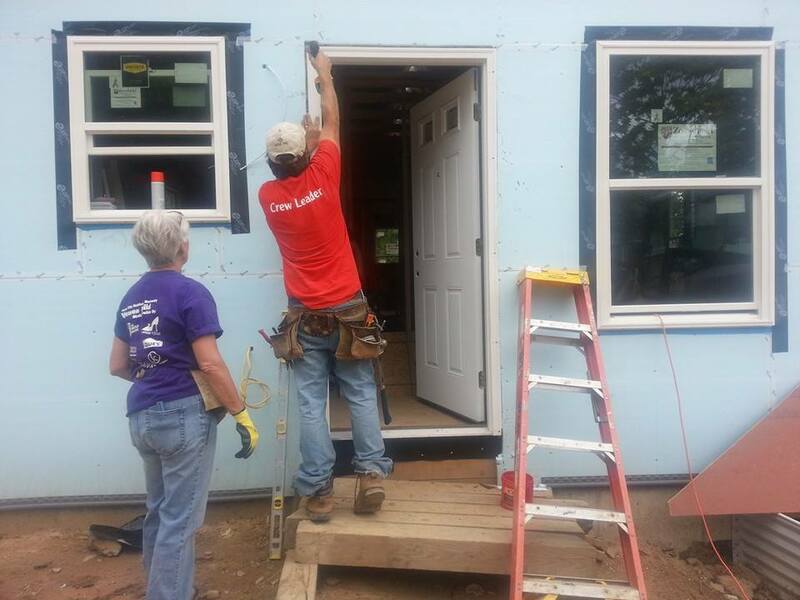 Flower City Habitat for Humanity Women Build is seeking new volunteers to learn new skills, build houses, and change lives for mothers and children here in Rochester. New to Women Build? Attend one of our upcoming information sessions listed below and meet some of our builders! Already a volunteer? Share this post and the flyer below with your friends and family and stay tuned for more information about our Kick-Off Meetings in April 2015! Want to get more involved? We have openings on several of our sub-committees. Check out the job descriptions below and let us know if you’re interested – we’d love to have you! 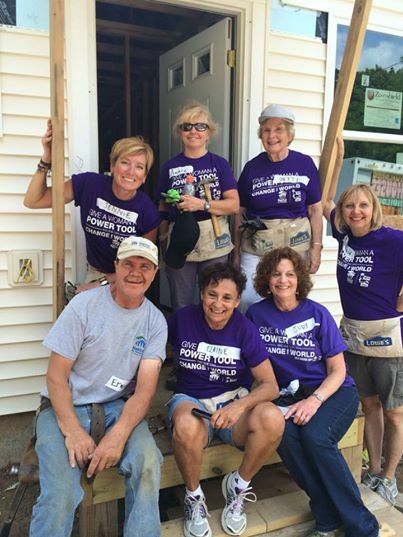 MARKETING SUB-COMMITTEE – Seeking 2-3 volunteers who wish to utilize their marketing skills to increase awareness of Flower City Habitat Women Build initiative, attract more volunteers, and support fundraising efforts. Preferred Skills: Marketing strategy, copywriting, design, PR, social media. Experience with Flower City Habitat Women Build and/or affiliation with local media organizations a bonus. VOLUNTEER EXPERIENCE SUB-COMMITTEE – Seeking 1-2 volunteers to become members of the Volunteer Experience Sub-Committee. Provide back-up to the committee leader to assist in resolving questions/issues on the Donor Pages or Volunteer Up systems. Answer emails, check for system resolution with a quick turnaround to avoid scheduling delays. Time commitment during May-August approximately 1-2 hours per week. Preferred Skills: Organization, strong communication, ability to manage spreadsheets. IT skills a bonus. 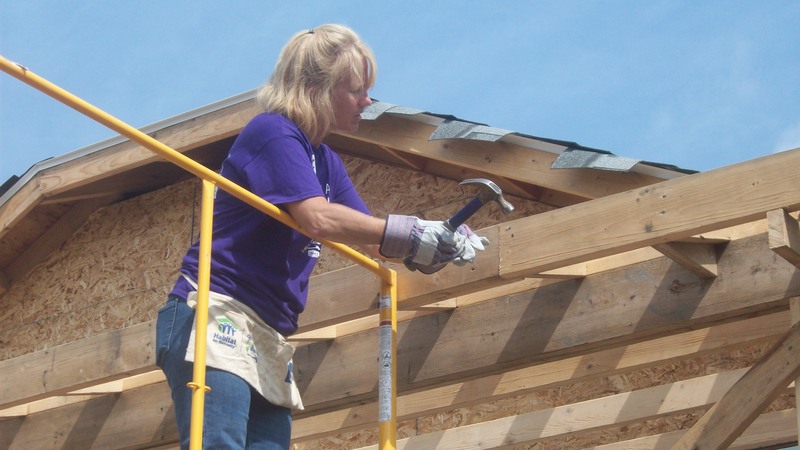 ASSISTANT TO THE SECRETARY – Seeking a volunteer to work with the Flower City Habitat Women Build Secretary, who is in charge of donor Thank You correspondence and takes notes at monthly steering committee meetings. Thank you letter generation is a semi-automated process and all materials are provided. Time commitment: 2-3 hours a week to help generate letters and mail them (April through November); 2 hours once a month when the current secretary is unable to attend a steering committee meeting. Preferred Skills: Note taking, typing meeting minutes in Word and posting to Dropbox, using the mail merge feature in Word to create thank-you letters for donors. If you have any questions about starting or joining a team, or if you’re interested in one of the volunteer positions listed above, please contact us at rocwomenbuild@gmail.com. The past couple of days have been all about the walls! Walls of LOVE! 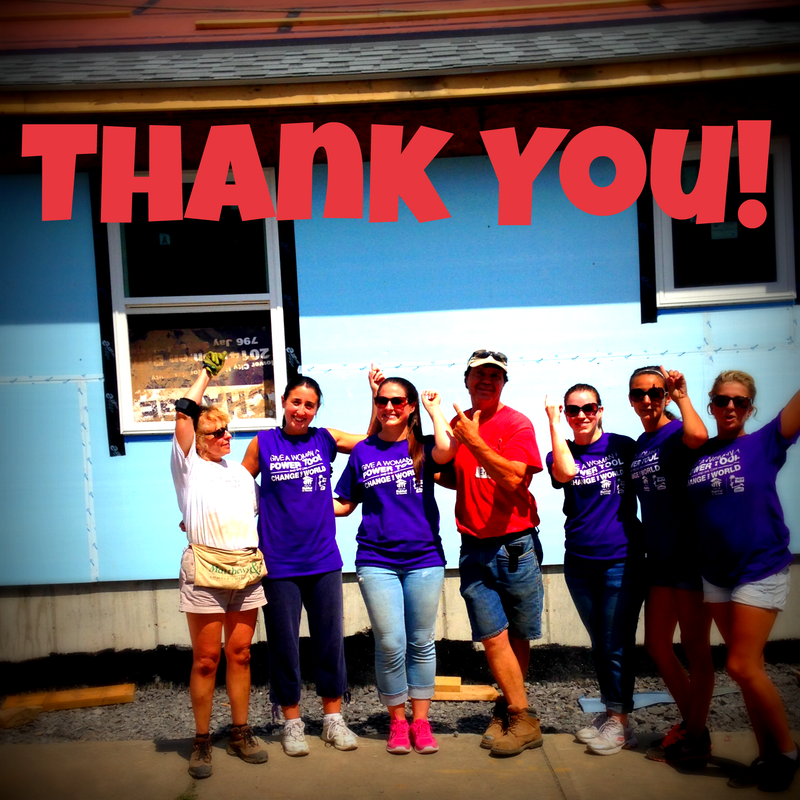 In fact, the house is getting closer to being a home each day thanks to our awesome Women Build volunteer & fundraising teams. We’d like to take a moment to say thank you to every one of you who has come out and built so far this summer. We know it’s been dusty and sticky. Sometimes it’s been wet and muddy. 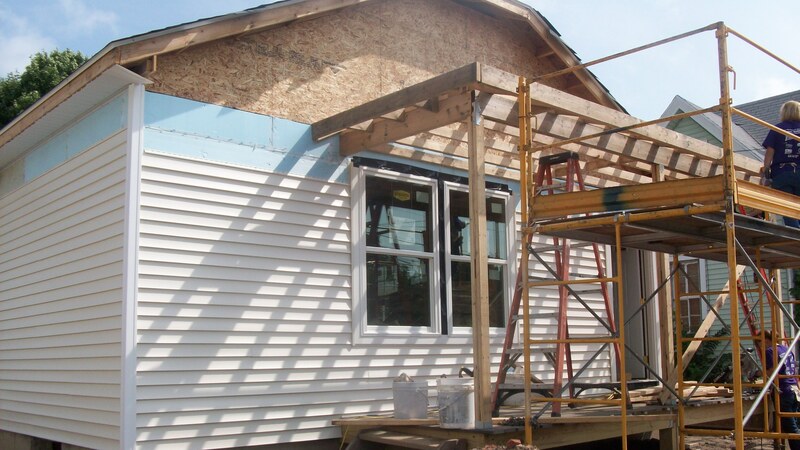 But our Women Build volunteers have complained not once and look at the incredible progress that can be done when a bunch of good-hearted people put their mind and muscles to work! Incredible things. 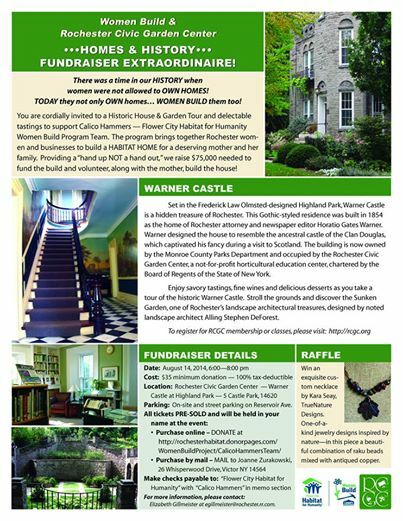 Speaking of fundraising, you can join Calico Hammers at their Garden Party this Thursday at the Warner Castle in Highland Park to raise funds for the Women Build program. Just click here to make a $35 donation and get your name on the entry list. On-site and street parking on Reservoir Ave.
One more event update – we wanted to let you know that the Women Build dedication that was set for August 23rd has been postponed. So you can free up that day, but hold on tight because we will be dedicating this house and once we have a date, we’ll make sure you know it! Happy Friday! 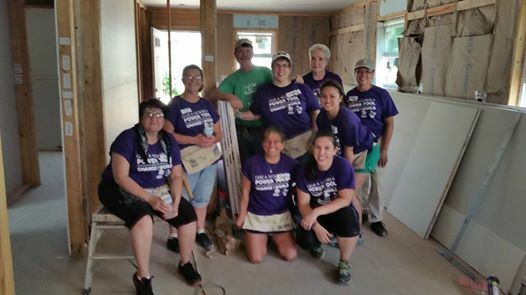 Here is another great build day story from Lesia KindratPratt whose team was on-site back in early July. 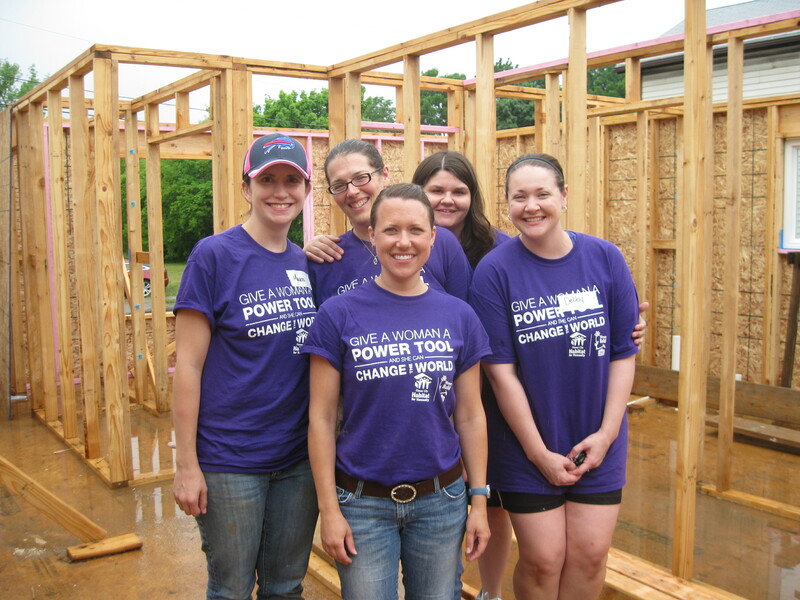 We just love it when our Women Build volunteers share stories from their build days with us, and we’re always happy to pass them along to you! If you have a story you’d like to share, please send it (along with any photos you have) to Sarah Stage. What should you do on the hottest day of the summer so far? Stay inside? Stay cool? No! You should build a house!! Which is exactly what Babes in Tool Land did on their second build day! Instead of the umbrellas we needed for our first day, we armed ourselves with sunscreen and hats and hit the build site, led, as always, by the invaluable Erwin (who I am I beginning to think should be nominated for sainthood for his seemingly endless patience and good humor). Another day in the books for Babes in Tool Land. Another day closer to a home for another Rochester family in need. 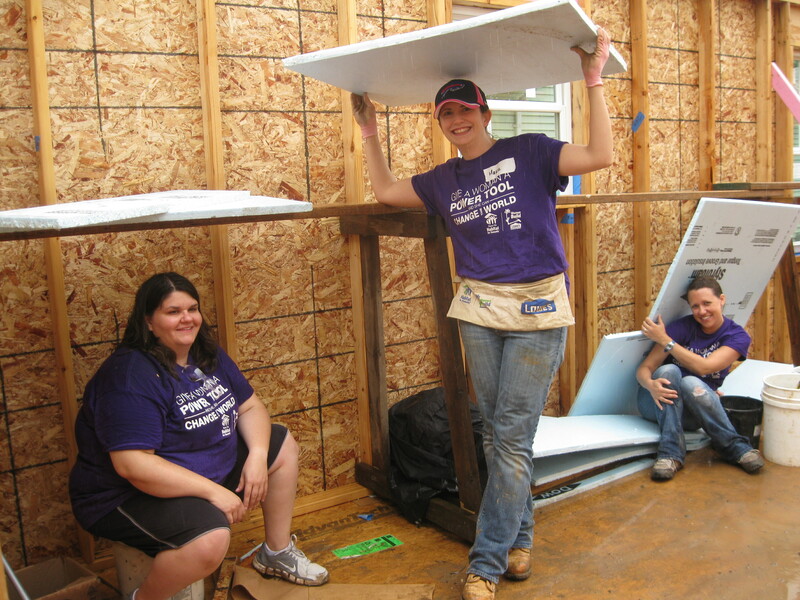 From time to time, our fabulous Women Build volunteers will share stories from their build days with us, and we’re always happy to pass them along to you! We hope you enjoy this build day story from Lesia KindratPratt, whose team was on-site back in June. If you have a story you’d like to share, please send it (along with any photos you have) to Sarah Stage. After five years, it was bound to happen…our build day weather luck ran out. After years of gloriously cool days, or at the very least, hot muggy days without a cloud in the sky, Babes in Tool Land’s first build day this year dawned gray and damp, moving into a steady drizzle by the time the day’s orientation was complete. But did that stop us? Nope! Rain, mud, and wet sawdust were no match for the Babes as we followed our fearless leader, Erwin, down the ladder (who needs a staircase?) into the basement. First order of business? Prep the basement for the cement that was arriving in the near future. So while dodging the raindrops sneaking in through strategic places (always where we seemed to be standing! ), we raked, buried the larger rocks, leveled the stone, and laid the plastic tarp. Basement was ready. We broke for an early lunch, hoping we could perhaps outsmart Mother Nature and convince her that we were actually done for the day. No such luck! Erwin kindly offered us an early dismissal, but last time we checked, Babes don’t melt – we were there to work! Basement duties done, we had no choice but to work outside, and work outside we did. The afternoon was spent hammering, sawing, and making sure the walls were straight and level for the roof that was starting in a few days. We were definitely a sight for sore eyes by the time we were done – soggy, tired, and probably unwelcome in most public places, but proud of our days’ work nonetheless. We helped build a house! Habitat really is “rain or shine,” and Babes in Tool Land can now lay claim to having worked in both. But in the end, an amazing build day as always, no matter what the weather!! Filled with lounging, lemonade, people watching, and neighbor chats. This is what late July and August is about! 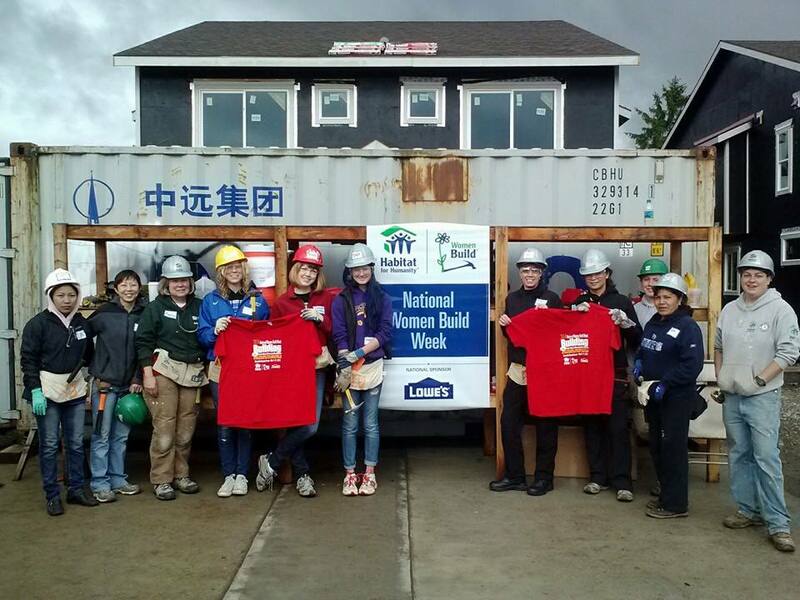 And for our Women Build teams, it’s about building that porch for our future homeowner family. That’s right, we’re on to outside details like porches, siding, and doors. You know, all of those things that begin to make for curb appeal. And speaking of appeals, we’re only about $5,000 away from making our $75,000 2014 Women Build goal. Which means we need your help to make that final push to your friends, family, and other networks to help us call the financial part of this house a done deal. 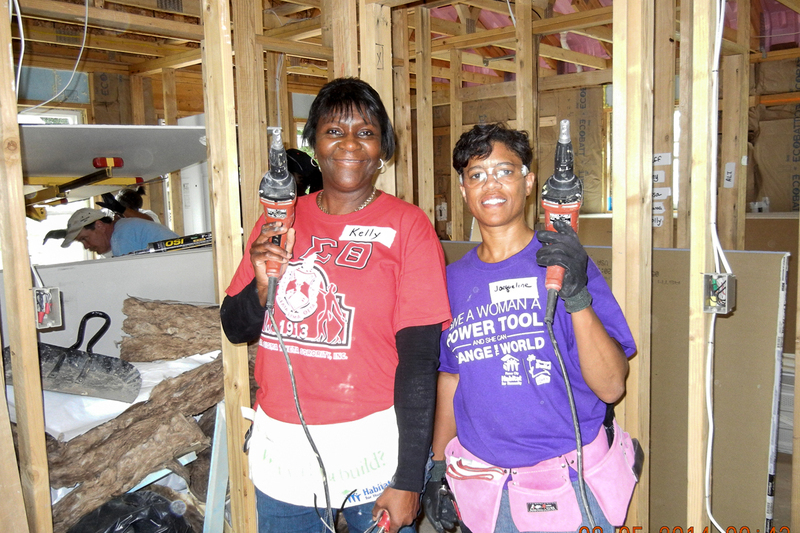 And remember, anything extra we raise still goes to the Women Build program – so push push push! 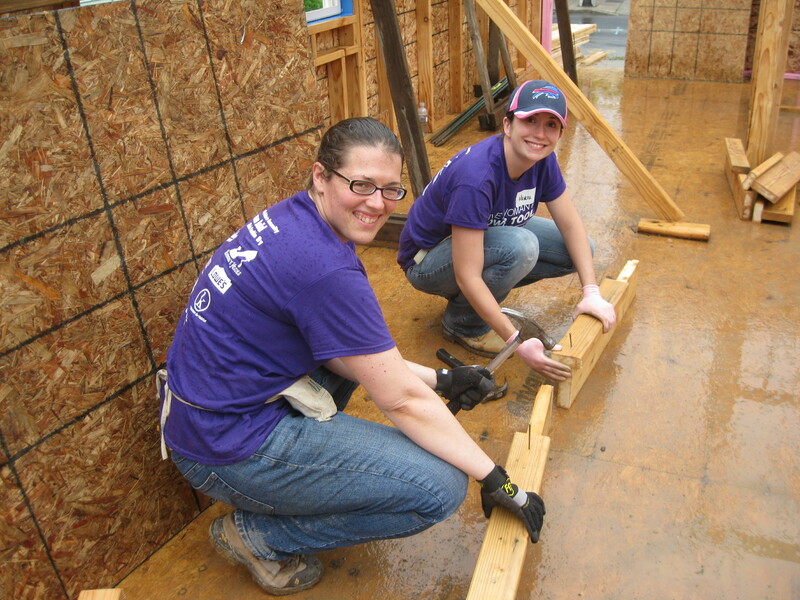 And if you’d like to donate, you can click here to make a general 2014 Women Build donation. Calling All Volunteers: You’re Invited! We do hope you can join us in celebrating our progress and our goal of empowering women to break the cycle of poverty by providing a hand up, not a hand out right here in Rochester one family, one home, one neighborhood at a time.